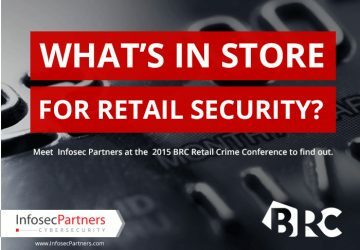 What's in store for Retail Security? Cyber impacts all areas of the supply chain, not just eCommerce. Sourcing, logistics, merchandising, CCTV, EAS, PoS, aftercare etc are all avenues of attack. to find out more about Retail security trends and how to get ahead. 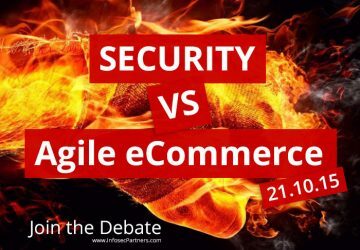 How can the e-commerce industry continue to update and innovate at an ever increasing pace and at the same time ensure that security is always at the heart of the development process? 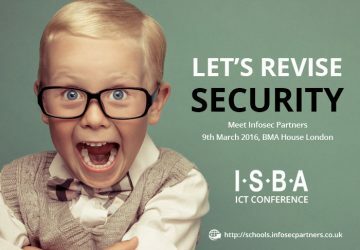 Infosec Partners has again been invited to speak at the Independent Schools’ Bursars Association (ISBA) ICT Conference. Need to cram for your compliance audit or just need to better understand what Security means to your role and your school? Learn how to optimise your security approach and get a measurable return on your security investment. 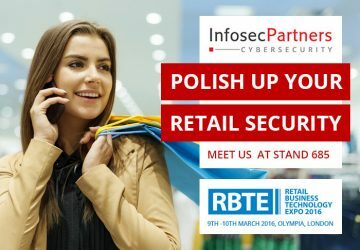 Infosec Partners & Fortinet will be at the 2016 Retail Business Technology Expo to help the Retail industry optimise their cybersecurity approach. Visit us in the eCommerce Quarter (Stand 685) to take the weight off your shoulders by telling us about your security concerns, whilst taking the weight off your feet with a professional shoe shine. The water market in England is changing, with competition to be introduced for non-household customers. From April 2017, businesses, charities and public sector organisations will be able to choose their provider for both water and wastewater billing services. There will be a huge data challenge to overcome in OpenWater. This innovative Cyberplus Summit offers OpenWater Retail Company executives a unique, bespoke event that will cover all the market risks and options in order to shape and hone all executive decision making.